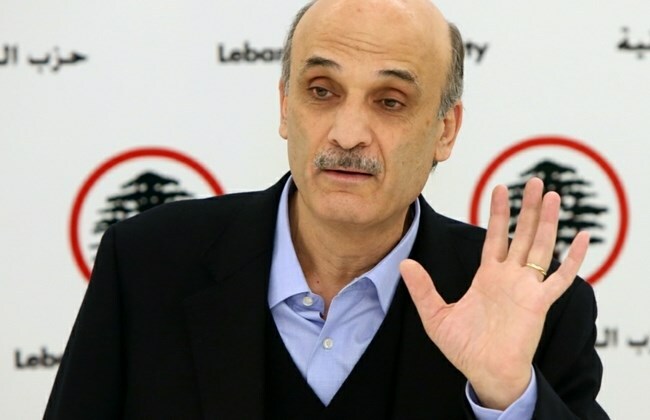 BEIRUT: Lebanese Forces leader Samir Geagea called for a joint Arab military force to intervene in Syria to topple the government of President Bashar Assad and end the existence of ISIS. Samir Geagea said in an interview with the Egyptian Akhbar el-Yom newspaper that the fall of Syrian President Bashar Assad would constitute a "gift to the whole world, in particular the Lebanese." "There will be no solution to the crisis in Syria without the intervention of a joint Arab military force that topples the regime and ISIS," he pointed out. The Arab League postponed in August a meeting of member state defense ministers who were scheduled to ratify a protocol for a new joint military force to intervene in troubled areas in the region. Arab League countries will decide later on a new date for the meeting. Members had formally announced the agreement in March, and drafted a protocol for it in May. Geaega also accused Iran and Hezbollah of obstructing the election of a new Lebanese head of state and thus paralyzing all Constitutional institutions. "Their aim is to press their Lebanese rivals to elect a president directly affiliated to Iran," Samir Geagea said. He pointed out that reaching a breakthrough "lies in the hands of Iran." "I can't predict the end of the Lebanese crisis."